The NHL season is barely two weeks old and the first member of the coaching fraternity has already been handed his walking papers. Wednesday afternoon, the lone remaining winless club in the NHL fired head coach Todd Richards and replaced him with John Tortorella, who won a Stanley Cup with Tampa Bay in 2004 before moving on to coach the New York Rangers and Vancouver Canucks. It’s not just that the Blue Jackets haven’t posted a victory – it’s that they’ve been beaten in regulation in all seven of their games prior to Wednesday’s switch and were outscored 34-13 in that stretch. 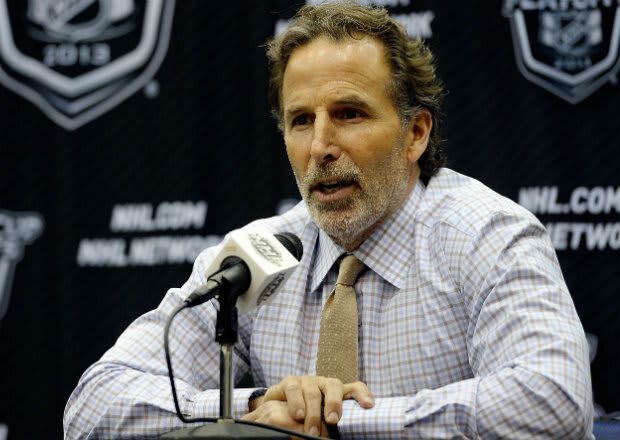 Something had to give, especially given that the club had playoff expectations this season and since – as the old saying goes – you can’t fire the whole team, Richards was the man to fall and “Torts” was tabbed to replace him. But what makes the Columbus Blue Jackets think that Tortorella is going to be the man that rights the ship after this season’s disastrous start? Despite signing a five-year, $10M deal with Vancouver, the fiery head coach lasted just a single season with the Canucks after the club missed the playoffs and a complete overhaul swept through the front office when the season ended. Save for that Stanley Cup win more than a decade ago with a loaded Lightning squad in the pre-salary cap era, Tortorella has really been a “good in small doses” coach who hasn’t had a great deal of playoff success. Now he’s walking into one of the most beleaguered markets in the NHL to take over a team that is struggling in all facets and while captain Nick Foligno said Tortorella’s straightforward, “here’s what I want from you guys” approach is a refreshing change for the fragile team, his personality and irritable nature might not play well with this group if they continue to struggle. As much as the Canucks are happy that Columbus tabbed their ex-head coach to take over the reins, thereby assuming a portion of the four-years-at-two-million-per Vancouver still owed Tortorella, the move to bring in a veteran coach that has already washed out at several stops around the league at this point is a tough one to comprehend. Far too often, teams run to the recycle bin to pick up someone that brings name recognition and a bunch of baggage with them when they need to make a coaching change, rather than promoting someone from within or giving an assistant that has a good reputation their first chance at being an NHL head coach. It’s musical chairs more than anything and Richards lost his seat to a guy that has been good in the regular season, but washed out hard after just 76 games on the West Coast in 2013-14. What makes bringing Tortorella in to take over the squad even more quizzical is that Richards’ assistants – Craig Hartsburg and Brad Larsen – are both being kept on. Why not elevate one of those two? Hartsburg has been with the club since 2012 and has head coaching experience at the NHL level and Larsen came on board prior to last season following two successful years behind the bench with the AHL’s Springfield Falcons. Instead, Columbus went outside the organization to bring in a coach whose approach has worn thin everywhere he’s gone (and increasingly quickly each stop) in hopes of turning around a season that is off to an awful start. Time to sit back and see if “Torts” can right this ship. Consider me skeptical. Seven and Counting: The Montreal Canadiens are at the other end of the spectrum compared to Columbus, having gone a perfect 7-0 in regulation so far this season. They’ll look to keep things rolling against the bottom two teams in the Atlantic Division this weekend with a road game in Buffalo on Friday before welcoming the Toronto Maple Leafs into the Bell Centre on Saturday night. Central Supremacy: Dallas, Nashville and St. Louis head into the weekend jockeying for position atop the Central Division. We’ll find out a little more about all three squads on Saturday as each plays a home game – St. Louis against the Islanders, Nashville opposite Pittsburgh and Dallas against the Florida Panthers.